You Suspect Herbicide Drift – Now What? | Chatham-Kent Agriculture Development | We Grow For the World! on August 7 | in Ag News | by Jodie Deprez | with Comments Off on You Suspect Herbicide Drift – Now What? With the new 2,4-D- and dicamba-tolerant crop technology available in field crops, horticulture growers are concerned about drift of these pesticides, especially with the experience the United States had last year. Crop injury caused by herbicide drift is guaranteed to cause misery and confrontation, not to mention insurance claims and legal charges. No one wins when herbicides drift – the applicator loses two ways: his herbicide misses the target, giving poor weed control, plus he is liable for damage; the “receiving” grower loses yield, crop health, perhaps timely markets plus his time. Sometimes our environment loses, and in general, agriculture loses in the public eye. 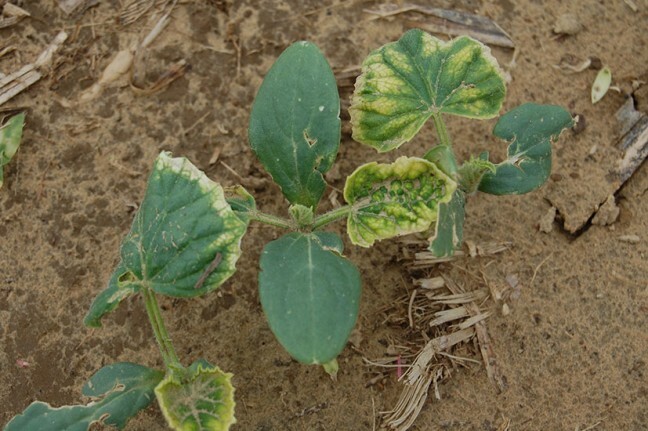 Familiarize yourself with the symptoms of auxin herbicide damage on your crops. Is it really drift? Eliminate other possible causes. Disease, insect, nutrient deficiency, herbicide carryover, improper spray tank cleanout, environmental stress can resemble herbicide drift injury. Are there patterns in the field? Is the damage worse next to the spray source, with less damage occurring across the field? Is the damage patchy? If it is, you need to check your soil pH. If your pH is considered high or low, test for herbicide carryover. Is there evidence of a spray application? Look for wheel tracks, weed symptoms, boom patterns and overlap on the headlands. Look for spray evidence in neighbouring fields, lawns, ditches, etc. Talk to your neighbour or the sprayer operator. Ask what was sprayed, when it was applied and who did the application. It is extremely important to report as soon as possible because the concentration of herbicide drops quickly within the plant. Do NOT wait until there are symptoms. MOECC officers can do a site visit, take samples of tissue and soil, and have them analyzed for the suspect herbicides. Where appropriate, the offending applicator may face charges under the Pesticide Act. Charges will be pursued only if off label use is identified from the information gathered. Because of the wording of some of the labels and the difficulty of tracking down all the information needed, this has always been a very difficult thing to pursue in grower-to-grower drift incidents. The results from the MOECC lab are available for the grower and, if enough information is collected, the grower is encouraged to pursue civil court if insurance and/or cooperation with the applicator does not work. According to the label of most pest control products, the applicator is liable for any damage caused by the misapplication of a pesticide. Contact your insurance adjustor, and advise the applicator to contact theirs. Collect spray records (yours – to prove it wasn’t your sprays) and the offending applicators’. Collect weather records (temperatures, possible temperature inversions, wind speed, wind direction, rainfall – for the date of application). Take photos (many). Record date and location on each photo. Repeat photos several times through the season. Document yield loss from the damaged area and an undamaged area. Choose a similar planting (same age, cultivar, rootstock, etc). For perennial crops (e.g. vineyards, orchards, asparagus, berries) document the effects for several years after the damage occurred. Every herbicide applicator must take all possible steps to avoid herbicide drift. So what should an applicator do? Work with the weather. Avoid spraying when the weather is against you, e.g. when winds are above 11 km/hr or dead calm, when temperatures are above 30oC, and/or when relative humidity (RH) is above 80%. Identify vulnerable crops near your fields. Choose a spray day when winds are blowing away from these sites. Make your spray less prone to drift. Choose herbicides with a low risk of volatility. Avoid products like 2,4-D or dicamba near susceptible crops (grapes, tomatoes, peppers, sweet potato, tobacco, non-2,4-D or dicamba tolerant soybeans, etc.) or greenhouses. Choose higher water volumes and use air-induction (AI) nozzles which will greatly reduce drift risk. Do not exceed the recommended driving speed if there is one listed on the label. Work with your neighbours. Let them know your intentions. Consider creating buffer areas between vulnerable crops. Greenhouse growers need to be notified to close vents during early morning spray times to avoid any possibility of drift. Sprayers 101 www.sprayers101.com for resources on sprayer cleaning and the dangers of temperature inversions.